The French 75mm Cannon of 1897 was a revolutionary design which made all other guns obsolete. Incorporating the first modern recoil system, a fixed round of ammunition (loaded in one step), a quick action breech and a gun shield, it was capable of extremely high rates of fire. The French 75mm led all armies to adopt similar guns, which made the First World War so deadly. The 75mm Cannon served with the French Army until 1940. Captured examples were used as anti-tank guns by Germany in 1944. 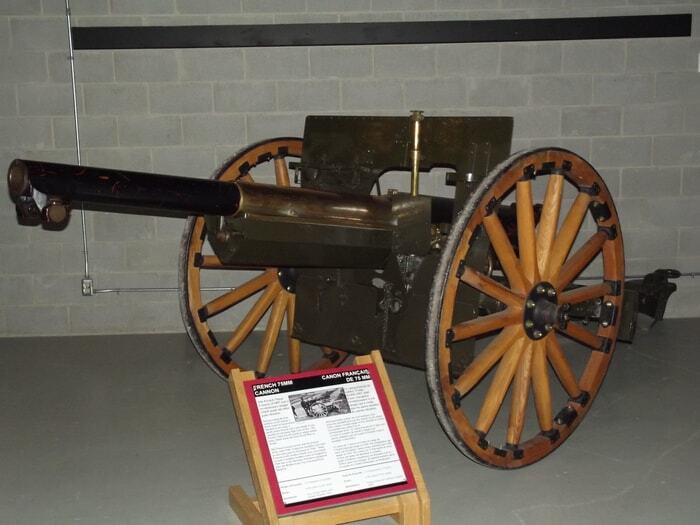 75mm Cannons with wooden wheels were even issued to some Canadian Artillery units in England in 1940 due to the shortage of modern equipment after the British Army was evacuated from Dunkirk.